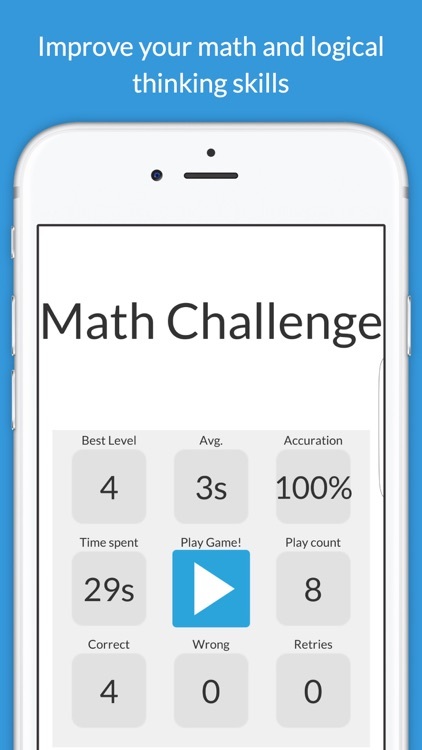 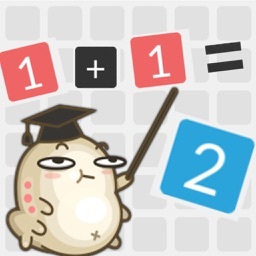 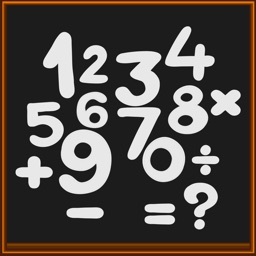 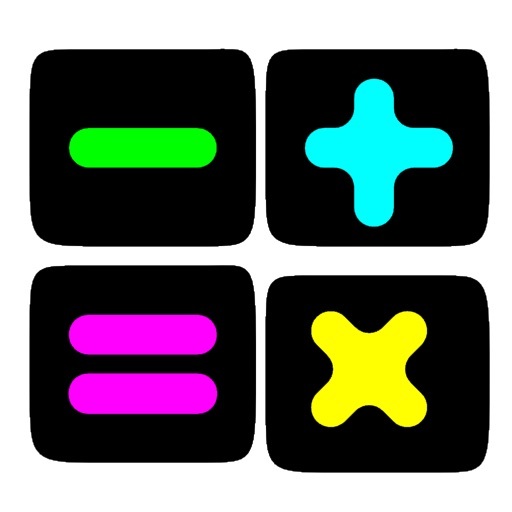 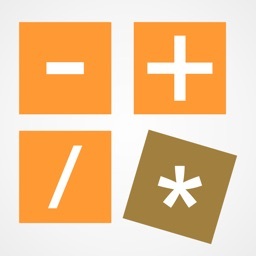 Math Challenge is a puzzle game that requires your math and logical thinking skills. 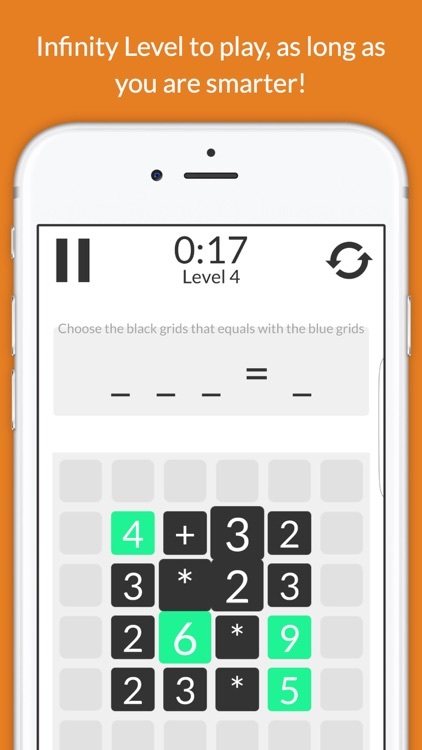 Players choose two numbers and the operand that makes the result in the green squares. 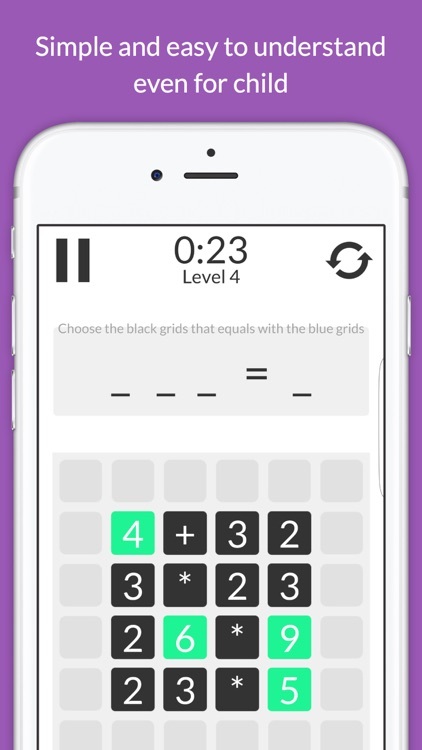 Make sure you solve all the numbers before the timer runs out. 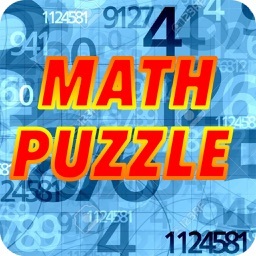 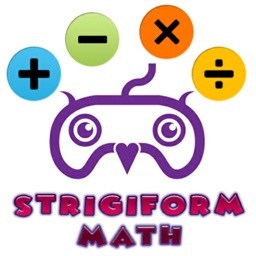 Every time you solve all the numbers, the level goes up and so does the difficulty. 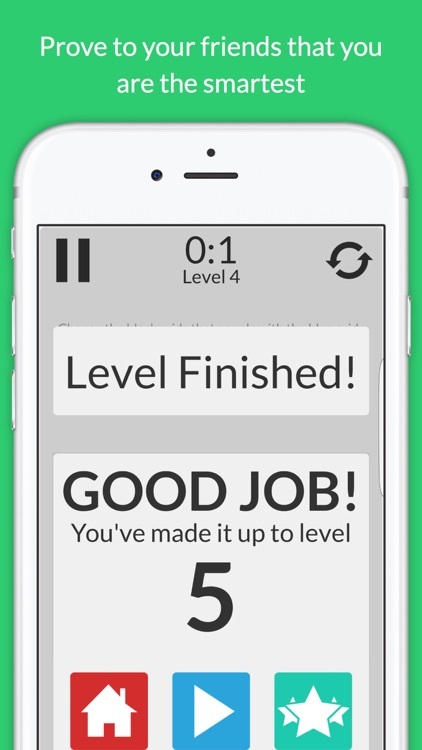 - Infinity Level to play, as long as you are smarter!